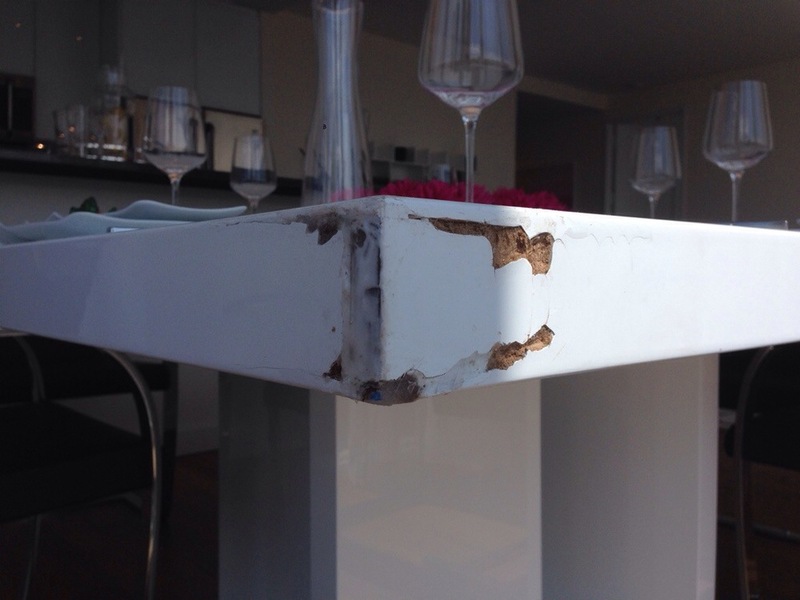 Someone banged this white lacquer table up when delivering to a staged apartment in a new building. I have clamped, filled and painted out, and am new waiting to buff out the finish. 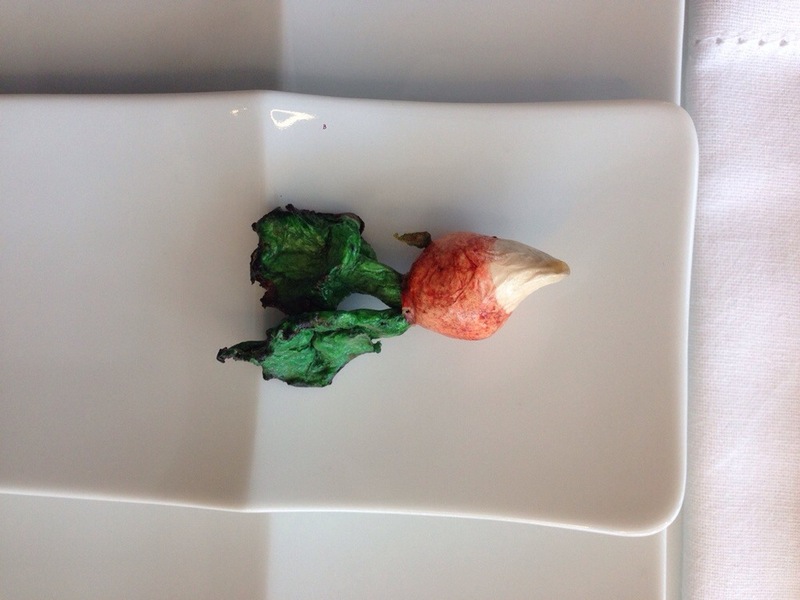 The fake radishes are starting to make me hungry, which brings to mind Beatrix Potter's Tale of Two Bad Mice. I think the fumes are getting to me.